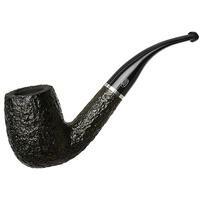 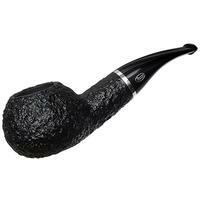 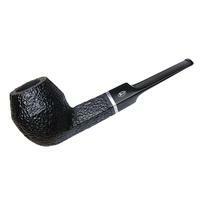 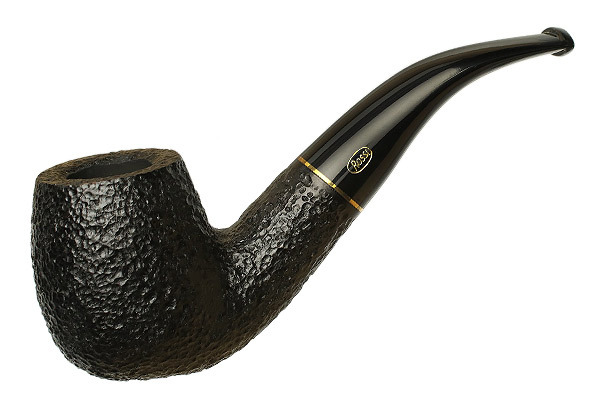 This Rossi "8616" bent Billiard is quite classic in shape, only much more substantial. 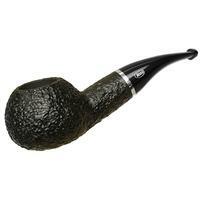 The stummel features a large bowl with generously thick walls and a stout shank, the weight of which is continued into a sharply tapering stem. 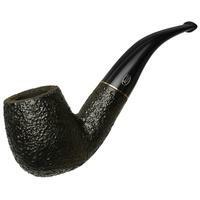 It's dressed here in the black rustication and brass-banded perfection that is the Salerno finish.